Posted by Wesley Terry & archived under Misc, The environmentalist, Wellbeing. Settled firmly into Unit 6 in Perseverance Works, the creative hub of Shoreditch, are Blaze, a unique start-up with their sights set on making urban cycling safer. Having recently made the move to the premises at Perseverance Works, Blaze founder Emily Brooke described the company’s search for a new home; having moved around various offices in the East London tech community, Perseverance Works is the first place they can really settle down into and make it feel like home. Describing Blaze, founder Emily Brooke said: “Blaze makes technology for urban cyclists” and puts technology and design at its core. 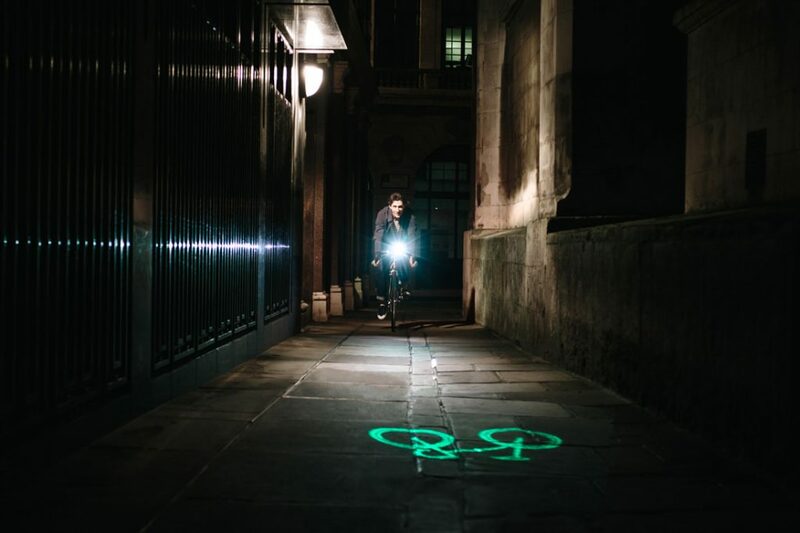 Its Laserlight- a light that combines a white light and laser image to beam out of blind spots, junctions and situations where cyclists are otherwise unseen – is the start of their path to redefine cycling with innovative products for urban riders. The light and laser work independently from each other, meaning with or without the laser you still have a 300 lumen LED bike light. Following findings from the UK’s leading transport research body (TRL), the Laserlight demonstrated superior visibility when compared to standard LED-only lights and has been integrated into all 12,000 London Santander Cycles. 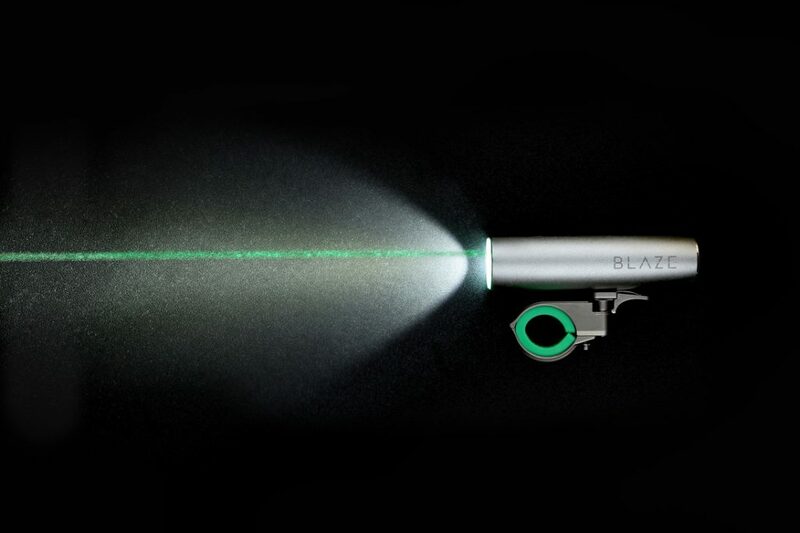 Blaze is a growing company, and it is clear to see why when you see how groundbreaking its Laserlight truly is. It is a company that is on the rise, and having received £6.5 million worth of investment to date, it is one of the genuine success stories of crowdfunding platform Kickstarter having received £55,000 of its pledged goal of £25,000 when launching the Laserlight. With the safety of urban cyclists key to all that surrounds Blaze, Emily is keen to explore global cycling markets such as New York. As Blaze set out to get more people on bikes and keep those people safe, they are making giant leaps in make sure cycling communities remain at the heart of everything that they do.